It’s was great going back to the home of pylon racing in Victoria, 41 years from the first pylon event at this great club. We held the VMAA State Championship on this weekend which included the 2nd F3D Australian Team Trial for next years World Championships in Queensland, Australia. The Cohuna club always provides a full compliment of helps which is absolutely necessary for running the team trials on the 10 lap course. What a great job all the helpers did. Thanks to the Cohuna Club. We started with 2 rounds of Q500 after a little delay getting the timing system sorted. Once the Q500 races finished, it was into the half an hour of flight testing for the F3D and then 5 rounds were run in nice sunny and warm conditions. later in the day, F400 ran 3 rounds before running out of time. Sunday started with the remaining 3 rounds of F3D followed by Q500 and the F400 after lunch. This was a clean sweep from Team Jacobsen. This was a smaller field than usual but it was great having Robin Gray back flying pylon. This was only the second event for this new championship season. 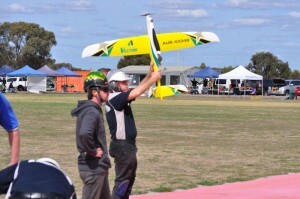 Being an VMAA Championships and a F3D team selection trial, it was a 10 lap course with a good amount of cut judges. We done Cohuna club! Leigh Hocken jumps up from 8th to 2nd position after this convincing win. 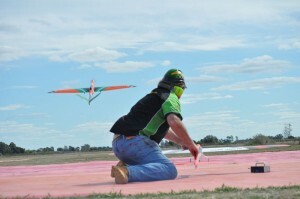 The very next race is at the Westernport Club where there’ll be a Sports & Q500 race on Oct 14. There is always a great turn out at this event and a heap of fun had. The next 2 day/3 class event is being held on Nov 10-11 at Munro. There have been quite a few changes to the calendar of late so make sure you have them all in your diary so as to not miss out. 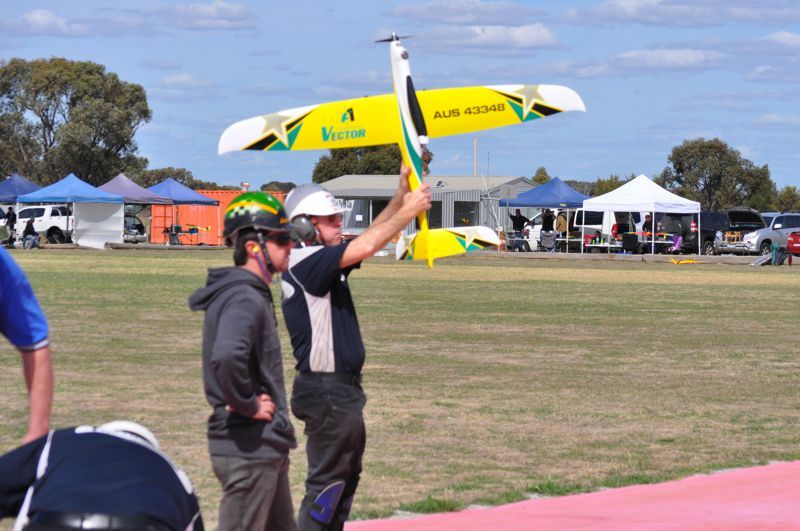 This entry was posted in Reports and tagged cohuna, F3d, F400, FA1, pylon racing, Q500, state champs, Team Trials, VMAA, VMPRA by Scadtastic. Bookmark the permalink.